Ready to tell the world where you are? Why not use Foursquare? In fact, many people do – so many that the company has now decided to allow small businesses to rank themselves higher in search engines for a small fee. Foursquare announced early last week that it was going to start allowing self-serve ads for small businesses – and small businesses only. The goal, the website said, was to encourage people to discover more than just the big box stores and locations in their area that wouldn’t usually show up on the map at all. The ads aren’t too expensive, and they are guaranteed to rank you higher in search results, especially if you already have a solid rating and check-in rate. 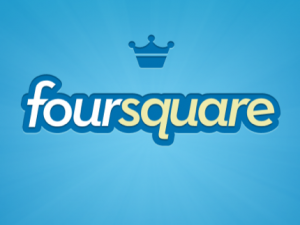 Over 1.4 million small businesses and 2.6 million users patronize the popular social network check-in website, and they would only have to pay extra when people actually checked-in at their business through Foursquare. Since the large social media website is working on becoming something of a social search engine as well as a check-in network, these ads may become even more powerful as the website continues to expand its horizons. In addition to self-serve ads, Foursquare has also introduced user targeted ads and paid promotions for status updates. The feature is currently in beta, so a few thousand businesses are allowed to sign up as of right now with a promise of a full rollout later.